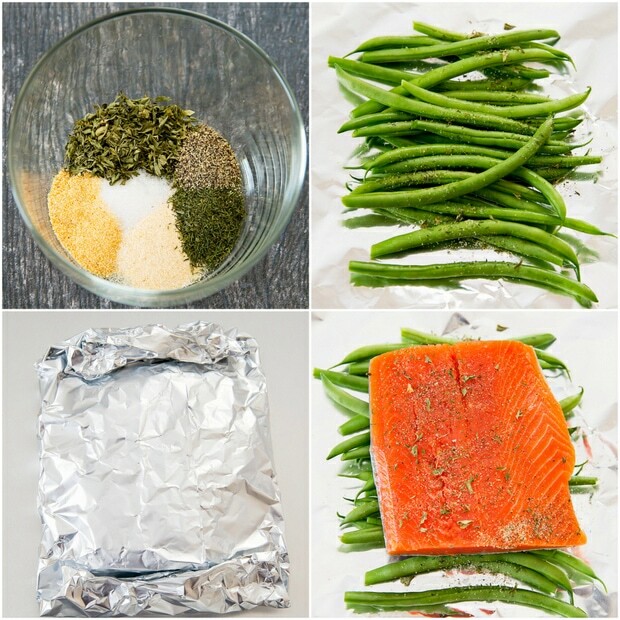 Ranch seasoned salmon and green beans are sealed in foil packets and cooked in the oven, for an easy meal with very little clean-up. When cooking meals at home, my biggest struggle isn’t with the preparation or cooking– it’s the clean-up afterwards. I dream about having a robot helper that cleans up after me in the kitchen. So these foil packet meals are definitely my kind of thing. Both the prep and clean-up are minimal. You sprinkle some homemade Ranch seasoning on your fish and beans, seal it up and cook. The fish stays moist because it remains sealed inside the foil packet and the oils from the fish also cook the beans. 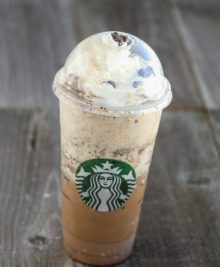 Easy, healthy and delicious. Preheat oven to 400°F. Set aside two large baking sheets. 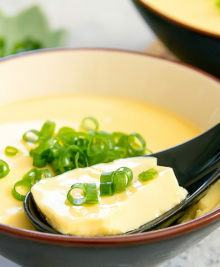 In a small bowl, mix together all of the ranch seasoning ingredients. 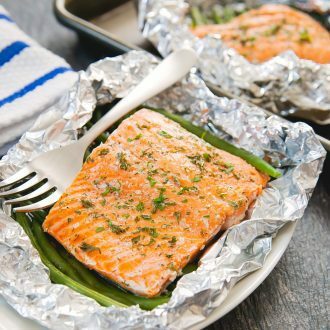 Tear off a large sheet of heavy duty aluminum foil that is big enough to cover your salmon fillet at least twice. 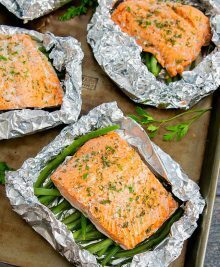 Add about 20 green beans to the middle of your foil sheet. Sprinkle beans with 1/4 tsp Ranch seasoning. Place salmon fillet on top of green beans. Sprinkle an additional 1/4- 1/2 tsp (depending on how salty/flavorful you like your food) Ranch seasoning on top of the salmon. Fold the sides of the foil over the salmon and beans, and seal your foil packet. Repeat with remaining fish and beans. 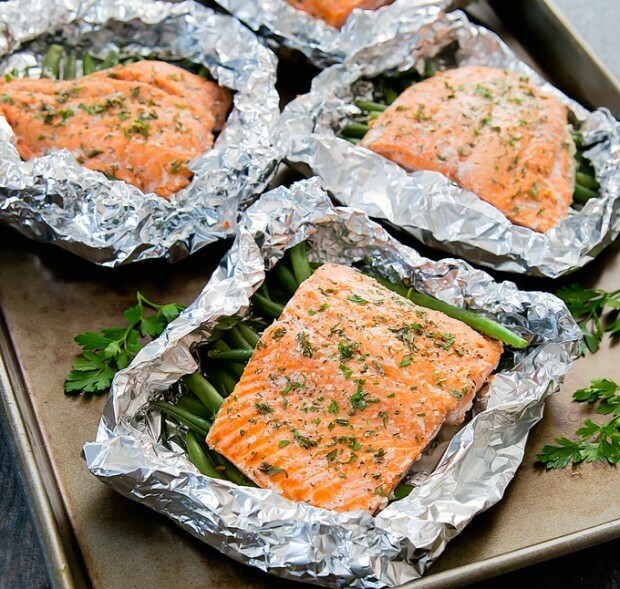 Place finished foil packets onto baking sheets. Put baking sheets into the oven and cook 25-30 minutes, or until fish is just cooked and beans are tender. Should the salmon have the skin on the bottom or should I remove the skin? Could you do this on the bbq instead of the oven?